Leonardo is a member of the Teenage Mutant Ninja Turtles. Distinguishable from the other turtles by a blue bandanna, he uses two ninja sword in battle. He takes his ninja skills very seriously and spends hours a day practicing and following his strict code of honor. As the oldest of the ninja turtle brothers, Leonardo acts as the leader and do-gooder of the bunch. Leonardo, along with his brothers Michelangelo, Donatello and Raphael, have been featured in comic books, television cartoons and even on the big screen in computer animation. 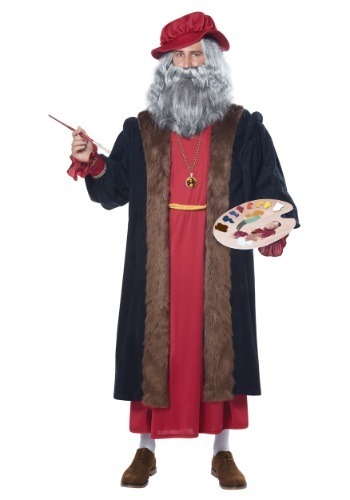 Get your Leonardo costume today! Let loose with your inner green-ness in a Leonardo costume. Officially licensed costumes are available in several styles to fit the whole family. 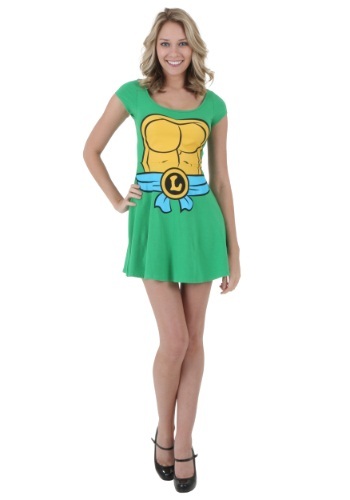 Typically, the Leonardo costume features a printed jumpsuit with turtle shell back and plastic character mask. Add a ninja sword or nun chucks with your Leonardo costume to keep the bad guys out of your sewer lair . Have friends dress up as Michelangelo, Donatello and Raphael for the whole Teenage Mutant Ninja Turtle team.